The last full round before Origin has come and gone with another successful trip to Perth, the Sharks making a comeback yet again, the Dragons putting on an attacking masterclass and a few teams potentially putting their hands up as wooden spoon favourites. This is The Roar‘s NRL talking points from Round 11. Mitchell Moses began his Parramatta Eels career on Saturday and suffered a first-up loss to the Canberra Raiders, who importantly snapped a three-game losing streak in a still unconvincing effort. Moses had far from a perfect performance, but it was still a marked improvement on his last time out for the Wests Tigers, when he simply looked like he wasn’t trying – which Ivan Cleary basically confirmed in the media since his release from the struggling club. The Eels half was trampled in defence by a rampaging Junior Paulo, although there is no shame in that. His effort on that end of the park seemed to be improved ten-fold, while he forced a dropout or two and had some good short range kicking options. 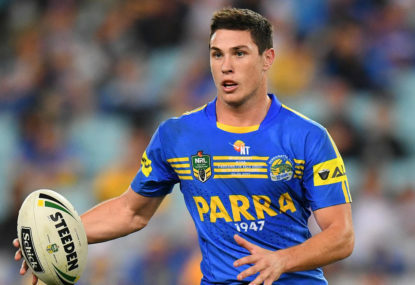 The combinations obviously aren’t there yet, but he isn’t a miracle worker and nor is Clint Gutherson, who stepped into the shoes of the injured Corey Norman strongly. That will improve with time, but it feels next week’s clash against the South Sydney Rabbitohs is imperative for the blue and gold. Are the Warriors and Tigers the new spoon favourites? The NRL ladder predictor is a great invention. After tipping every game for the rest of the season, I came up with a startling discovery – the Tigers were glued to the bottom of the table. I made the absolutely stupid decision to tip them against the Broncos on Friday night, and even though they represented a club working hard, it was a team devoid of points, ideas and attacking options. Their defence wasn’t much better and unfortunately, as a youthful Newcastle Knights team will attest, effort doesn’t get you very far in this competition unless you have the talent to back it up. The Tigers have James Tedesco, sure, but it’s difficult to know where points come from across the rest of the park. Newcastle meanwhile, picked up their second win against Canberra last week and have Penrith an almighty scare this week. New Zealand, on the other hand probably only narrowly avoid wooden spoon conversations because of the Origin period. They were truly woeful against the Dragons on Friday evening, and simply looked like they would have preferred to be anywhere else but in Waikato. If they don’t manage to pick up some customary wins over the Origin period though, starting next week against the Broncos at home they will be well and truly among the conversation. Should Russell Packer and Josh Dugan be dropped to reserve grade? I don’t anticipate this to be a popular opinion, but when a club saves your career and you turn around to spit in their face – well, the club should spit straight back at you and ensure they do the right thing for the future. 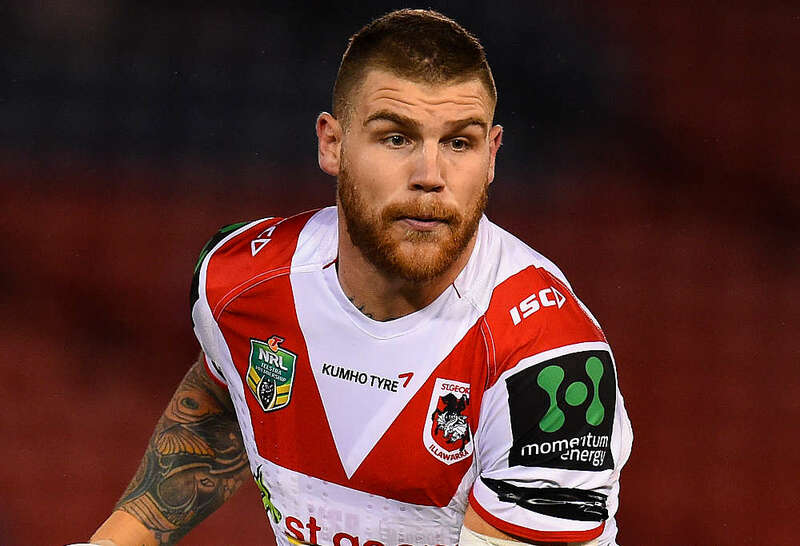 The Dragons are faced with a tricky predicament now Dugan has decided to sign on with the Sharks. Throw all the eggs in Matt Dufty’s basket next year despite the fact he will have next to no experience, or go hunting an established first grader? I’d be sceptical about allowing Dufty to be the side’s premier fullback if he isn’t to play this season. For that reason, it’s imperative he plays first grade this season and for that to happen – yep, Dugan needs to be dropped from the side. Of course, Dufty could play on the wing, but given the outside backs are going great, it’s hard to see that happening. The front row isn’t as much of a problem, but if Dugan was to be dropped down the pecking order for that reason, then so should Packer. It may have adverse effects on the Dragons season, but with an easy draw to the finish line in 2017, Dufty could prove to be almost as good as Dugan, and must start growing into a first-grade role so the Red V can assess their 2018 options. As much as I want the best 17 to be on the park for the Dragons, Red V fans are brutal in their treatment of players who are moving on, and if they are in first grade it could be a tough finish to the season for the duo. I don’t have the correct answer to the problem because I’m not sure there is one at this point. I’m certain both will play first grade for the remainder of 2017, but the question is worth asking, particularly if the Dragons are to fall away in the second half of the season. How far is Perth away from getting an NRL team? The Rabbitohs took their annual game to Perth to close Round 11, and again drew a solid crowd with Western Australia proving they are in the picture for an NRL side. It makes perfect sense from a broadcaster’s point of view, allowing them to have a late game on the Eastern seaboard on any of Friday, Saturday or Sunday and given the support Perth are showing, you would have to think the right business model will work, unlike the Western Reds failure. It’s hard to say when the NRL will expand, but surely it’s not far away. Do Cronulla have another gear? The Sharks continue to find ways to win when they shouldn’t be. It’s astounding, but the club are sitting with a record of eight and three, right at the top of the table and haven’t yet played more than one good game. That performance was of course, away from home against the Storm in atrocious conditions as they relied on their defence to get it done. Shane Flanagan’s men won’t be stressed about their position as we approach the mid-way point of the season, but they can’t take any comfort out of knowing they will be able to play 80 minutes at the business end. Errors and penalties are consistent their game, as was proven against the Cowboys on Thursday and while they have turned it on when they need to, relying on outbursts to pull your club our of tough situations won’t be where it’s at come the last six rounds. I’m convinced the Sharks do have another gear, but it almost seems fatigue is a problem after the World Club Challenge. If that’s an issue now, it will be amplified come the last six weeks of the season and finals time. It’s not as if Josh McCrone is playing poorly – but Kurt Mann has been a breath of fresh air since he moved into the halves to replace Dragons’ captain Gareth Widdop. His running game and the way he has been able to beat defenders at will, assisting the incredible offloading game the Dragons have been able to put forward this year has been sensational. Mann has well and truly made his case to stay in the starting side. Josh McCrone’s kicking game is also a worry. While the extra pressure on him has been immense, he hasn’t lived up to any of the expectation. 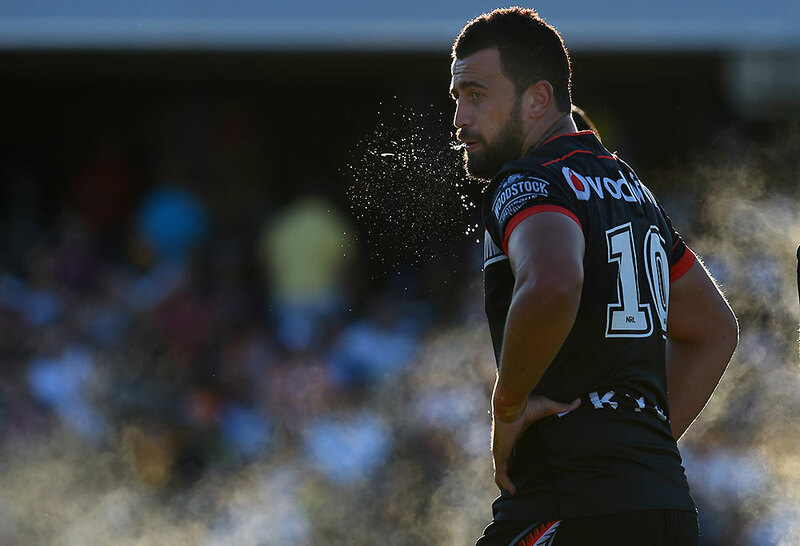 The Dragons might have beat the Warriors, but their kicking game still struggled and in a lot of ways, it could be the primary blame for their three losses. Where does Kodi Nikorima go next week? Another club with a halves dilemma is the Broncos. 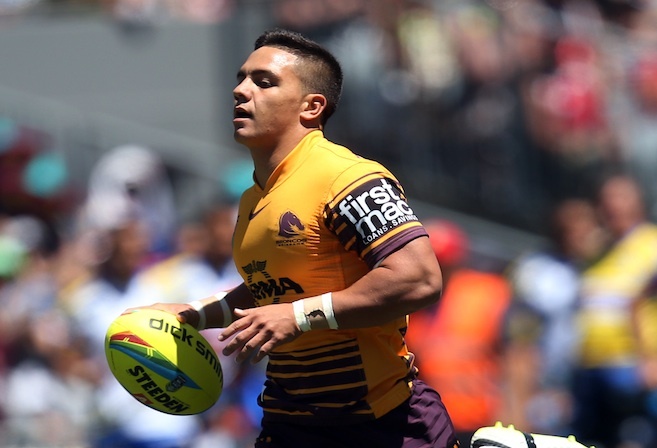 Ben Hunt is due next week and while it can’t be confirmed yet that Anthony Milford will miss out on the Queensland Origin side, the plight of Kodi Nikorima is an intriguing one. Nikorima started out of the gates a little slowly in replacing Hunt, struggling to do the little things right to help the bigger picture. He has started to lift his level in the last three weeks though, playing a high-quality brand of footy. It’s almost inarguable to say his best game so far was in the Broncos’ beatdown of the Tigers, with his kicking and running game both standing up and being counted. Hunt and Milford are the Broncos first choice halves, but it almost seems cruel and not quite right to have Nikorima coming from the bench for the Broncs next week in Auckland. Two weeks in a row the Panthers have come out of the dressing rooms and looked lost for 40 minutes. Last week against the Warriors they were down 28-6, this week 14-0 against the Knights. These are two of the worst sides in the competition, and they couldn’t compete from the start. Sure they won both games with big second half performances, but that isn’t good enough. They need to do more than that from the outset, or they are going to continually be getting blown off the park, as they have done for much of the year. 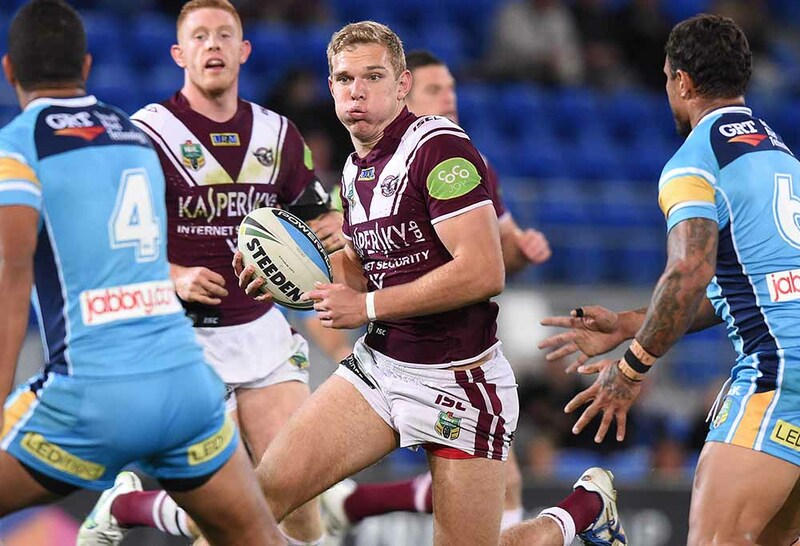 It seemed like it would be almost the end of the world for the Sea Eagles with Tom Trbojevic on the sidelines for up to eight weeks. But it wasn’t. They came out and put on a show against an albeit lethargic looking Titans side to pick up an important two competition points. Given Trbojevic has led most of Manly’s key attacking stats this season, it was hard to see them competing with the Gold Coast, but they did. Players stood up all over the park, Apisai Koroisau and Daly Cherry-Evans leading the charge as they ran out 30-10 winners. Things won’t be easy for Manly until their star fullback returns, but there is now a spark of hope there. All the pieces to the puzzle are there for the Roosters, but they just can’t quite get it arranged on a consistent basis. Their first half against the Bulldogs followed on fantastically from their drubbing of the Eels last week, but the second half was a different story. Despite having 55 per cent possession, their completions dropped off, and they gave away six penalties, as well as making 12 errors for the game. For a side who are sitting at the top of the table, their inconsistency and ability to be ruthless in execution is baffling. There is no question Trent Robinson’s men could go all the way in 2017, but it’s consistency which will be the key for the tri-colours. Roarers, what did you make of Round 11? Drop a comment and let us know.